Charm is a tender and loving story of a small cat that is found, lost and found again under the most mysterious conditions. It will make you wonder about life, love and the existence of a higher power. It will break your heart in half and put it back together again. You will fall in love and be forever grateful that you met Charm, if only in a book. Ask yourself: Do you believe in the existence of a higher power and the other world? Do you believe in miracles and reincarnation? Charm: An Amazing Story of a Little Black Cat is all in one story, which will make you think about these things and maybe you´ll find the answer! This is a second edition of Charm. It doesn't contain the upsetting portions some reviewers are talking about in the first edition. Hello, my name is Leyla Atke. I am a mother and award-winning author from Denmark. Since my childhood, I loved reading books. My influences are Alexandre Dumas, Maurice Druon, Victor Hugo, H.G Wells, Leo Tolstoy and many others. I have been featured on Bestsellersworld.com, Fiction Frenzy TV, Red River Radio and many others. 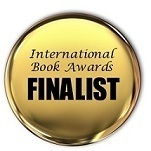 My book Charm: An Amazing Story of a Little Black Cat was honored as a Finalist in Children´s Non-Fiction category of 2012 International Book Awards and as a Finalist in Animal Non-Fiction category of 2012 Readers Favorite. Charm got three Finalist Awards in Children Animals, Non-Fiction Animals and Non-Fiction Short story in the 2014 Readers Favorite. 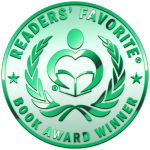 It won 2014 Readers Favorite Honorable Mention in Non-Fiction Short Story.